As a mother, I connect with Mary and the emotional ups and downs she experienced in caring for her child Jesus. To prepare for Advent I meditated on Mary’s story recently in my women’s small group. My friend Nancy shared the fruit of her meditation on Mary being “highly favored” by God (Luke 1:28). This does not mean riches, fame, honor, and perfectly happy kids. It means in the midst of life’s messiness and pain God brings heart-opening joy and deep peace. If you look closely at Mary’s life as a mother it doesn’t look like she was highly favored! She was scorned as an adulterer. She had to figure out how to be a mother to the Messiah. Perhaps what was most excruciating for Mary was that she had to keep letting go of her son that God promised her. 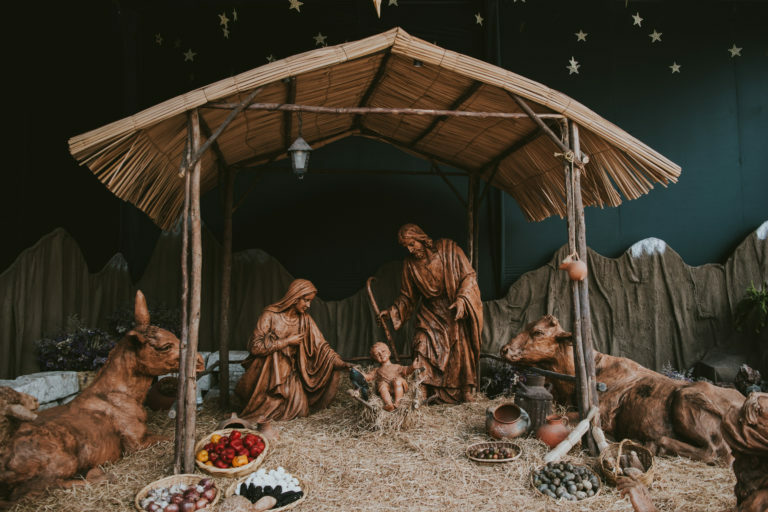 Jesus was her first child and the perfect son — respectful, pleasant, caring, and helpful. When her husband Joseph died, her son took leadership of the family and helped her to provide for all the other children. She wanted to hold onto Jesus, but she knew he was God’s Son first. When Jesus moved away from her to start his public ministry she probably felt sad, worried, even frustrated. She lost her great source of security and strength. She especially missed the closeness they shared. Now there was an empty place at the family table and holiday celebrations wouldn’t be the same. Mary’s story helps me put words to my emotions as a mother and it helps me not to feel alone, especially when I share and pray with my soul friends. It’s been hard for me to let go of my children. As they grow up they become more and more separate, developing their own lives, establishing their own homes, and expressing their own opinions and values. This is good, but I miss the relationships we used to have and I feel for them every day — I feel their pains and joys, their successes and failures, their hopes and disappointments, their doubt and faith. My soul is full of praise to Christ my Creator, Redeemer, Shepherd, King, and Friend for He has chosen me to be His! His tender love and mercies continue to me. He has entrusted me to bear His name, to know and love Him and to extend His love, kindness, and generosity to others. It is no small thing what my Lord has done for me! I praise God for how Jesus’ mighty power keeps touching my life — saving me, forming me, and using me as His ambassador. Christ’s ways are higher than our ways — He does not judge by our standards. He sees our hungry hearts and feeds them with his Word and Spirit, growing our appetite for the Father’s goodness. The Lord gives us vision for our lives beyond what we could know or attain on our own. He will fulfill His purpose for me and I praise Him with gratitude, awe, love, and joy! I hope you realize that you also are highly favored by God! Immanuel is with us and is blessing us and our families, not only in the good times but also in the difficult times. Listen to this blog’s companion podcast, Come: Jesus is Glad to See You! Kristi shares further how she has been experiencing Jesus’ delight by journeying with Mary and her Magnificat.